BMW iPerformance X7 Concept Leaked!!! 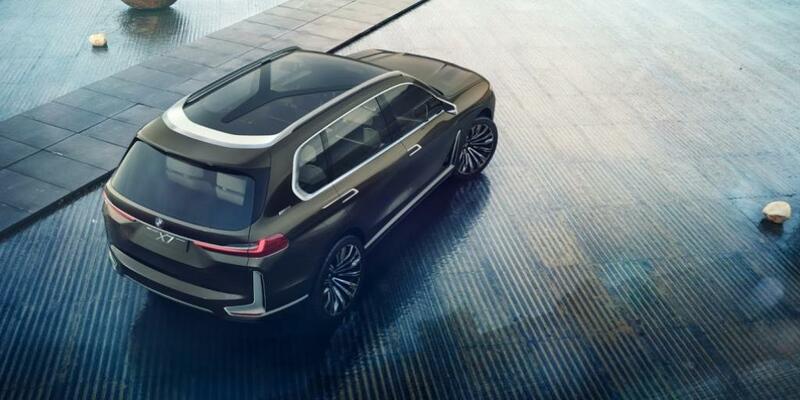 The International Motor Show will begin in just 5 days and BMW planned to release information about the all new X7. 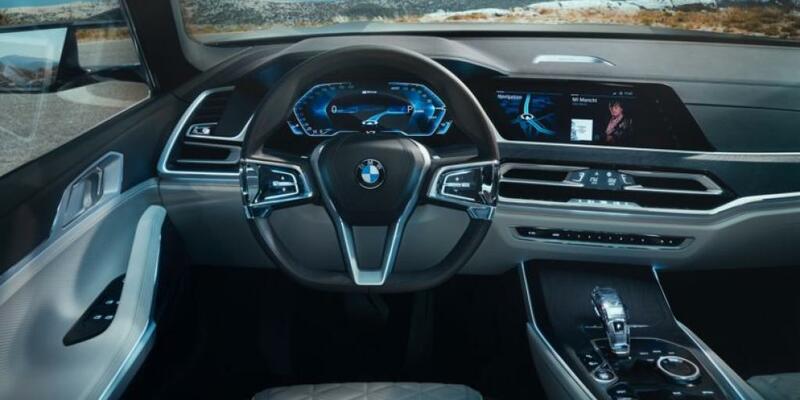 However, someone leaked photos of the Concept X7 iPerformance to BimmerPost. Here are some of those leaked photos and our thoughts on the first full-size BMW SUV. 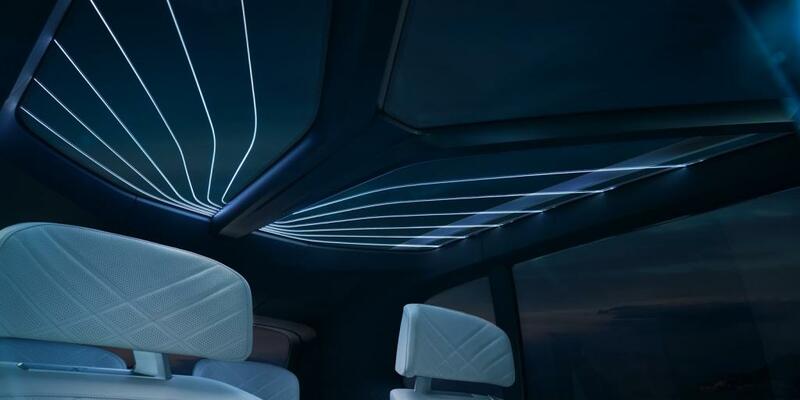 The all glass roof lets a lot of light into the cavernous cabin, giving this SUV an airy ambiance. The dash boasts clean lines with little clutter, a minimalistic design that prioritizes quality over quantity. BMW says no to the dreaded middle seat by employing a six seat design. The seats themselves are Smoke White premium white leather with quilted stitching and dark olive bronze leather accents with slight gold pigmentation. The seats are secured only by a small base to provide optimal foot room for rear passengers. The hard shell seat design evokes echoes of the legendary Eames lounge chair, a staple of sophistication for modern homeowners. In addition to being stylish, the pragmatic design reduces seat width, allowing yet more leg room. Second-row passengers have large monitors to keep connected. Not that they need to with the excellent view provides by nearly non-existent pillars. The cockpit reflects the minimalist design language by having fewer buttons than we’ve seen on any modern steering wheel. There’s a 12.3 inch all digital driver information display replacing traditional gauges, presumably highly customizable. Matte silver and bright polished accents tastefully grace the two toned cabin without disrupting the flow of the lines. The X7 is the largest BMW ever made and they want you to know it! 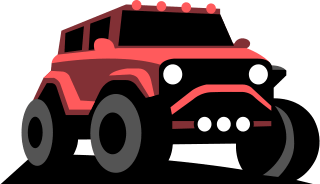 Every aspect of the exterior design enhances the large SUV’s stance. From the gargantuan kidney grilles to the ludicrously large 23-inch wheels, there’s no denying this Bimmer’s impressive stature. The front fascia features slim, LED accented headlights above large vertical intakes that monopolize the space untouched by the oversized grilles. The side profile strikes the beholder as a curvier XC90, with a unique L shaped accent. The body bulges nearby, accentuating lines never before seen on an SUV. A matte silver molding trims the windows, mirrors, door handles, and low profile roof rails. At the rear, sharp lines form right angles and accentuate the height and width of the big Bimmer. Large rear vents are trimmed with matte silver and wear red reflectors. Between, them a matte silver bar reaches transversely but does not touch. Above, narrow red LED tail lights stretch across and tuck neatly into the body at the point in which the body lines slope inward toward the roof, ever slightly. Yet another matte silver bar is integrated into the LEDs. One can’t ignore the beefy, wide tires that magnify the SUV’s muscular stance; perhaps the X7’s most attractive angle. Judging by the concept’s aesthetics, the X7 iPerformance is in all likelihood a plug-in hybrid. 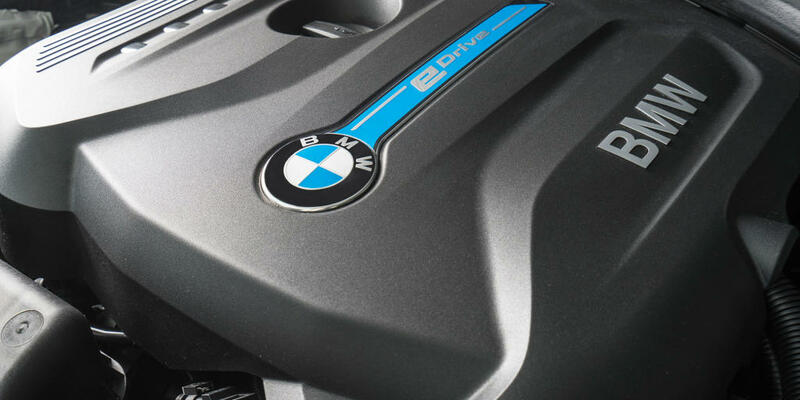 Probably employing a similar powertrain to the turbocharged inline 4 cylinder and electric motor combination found in the X5 and 3 series hybrid models. Surely BMW would include turbocharged inline sixes and twin turbo V8s found in other BMW models if it goes into production. The X7 will use the CLAR platform, on which the 7 series is based. As a result, it will most likely be manufactured at the Spartanburg, South Carolina plant. 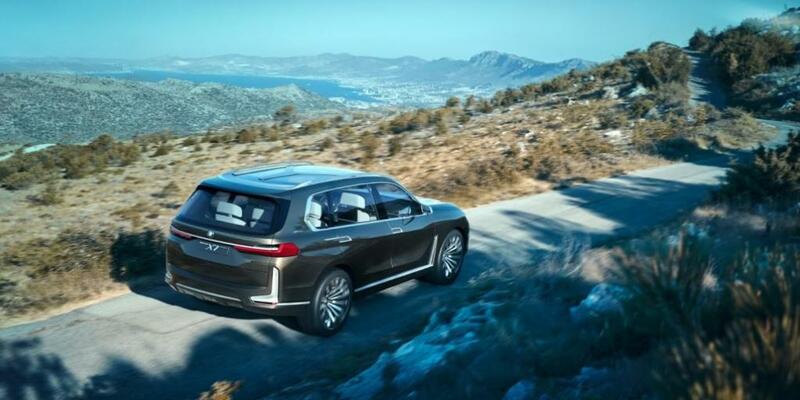 BMW insiders report some version of the X7 should go on sale next year, priced to compete with the top-ranked Audi Q7 and Mercedes GLS. 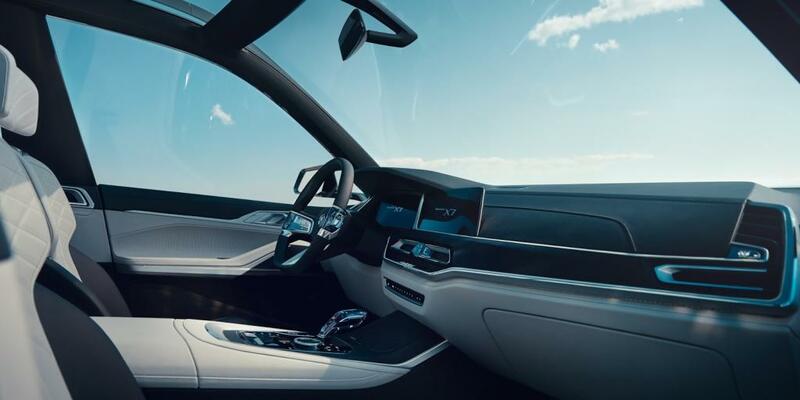 Furthermore, BMW plans to release an all new 8-series and i8 at the Frankfurt auto show, part of an ultra-luxurious lineup that includes the X7. More importantly, share your thoughts with us about the new X7 iPerformance in the comments below!